Reduces breast cancer recurrence risk by 40% in women in postmenopausal stage and by 30% in women in the premenopausal stage. The uninfected breast is immune from cancer infection by 50%. Tamoxifen reduces the risk of women who are more prone to getting cancer. Chemotherapy; women who have gone through chemotherapy have experienced a notable increase in their weight, though a medical reason for this has not been established. Hormonal changes; women in postmenopausal stage gain weight as a result of the hormonal changes and not because of any medication they may be taking. Long periods of inactivity; people are going through cancer treatment are not as energetic as they were before. For this reason, they are inactive for the most part of the day, leading to weight gain. Change in eating habits; cancer diagnosis brings about new cravings even to unhealthy foods which may result in weight gain. Other unknown health complications; if there is no other reason for gaining weight, it is possible that you may have other complications like diabetes. Stress is also another reason that may lead to an increase in weight. Some studies have revealed that using Tamoxifen for a prolonged period could result in damage to the liver where it becomes fatty or even gets injured. Though these side effects do not happen to all women under Tamoxifen, it is important to be aware that they could happen. Eat a balanced diet as some of the food groups like proteins will aid in balancing the hormones. Chamomile tea can also help but it should be just warm. Hot chamomile gives way to hot flushes. Exercise will help to get you off depression; get up and do it though sometimes your body may say otherwise. Use essential oils to massage your body and spray them in the room. The fragrance will really help to raise your mood. Get enough sleep to get rid of the fatigue. This is just for some time and it will eventually go away. Take supplements especially Omega 3 as it will really help in most of the withdrawal symptoms. 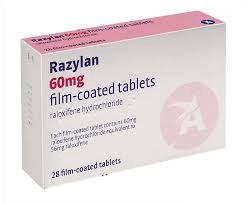 Raloxifene; this drug works in the same way as Tamoxifen as an estrogen inhibitor and is manufactured by Lilly company. Unfortunately, it can only be prescribed to women who are in postmenopausal stage. Women who use this drug are at a higher risk of getting blood clots. 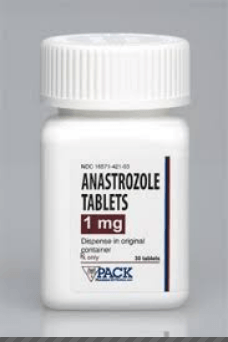 Anastrozole; this is an aromatase inhibitor which restricts the production of estrogen. Like Raloxifene, it can only be prescribed to women in postmenopausal age. Its manufacturer, AstraZeneca Pharmaceuticals associates this drug with worsening existing cardiovascular complications, as well as leading to weakening of bones, nausea and allergic reactions. Medroxyprogesterone Acetate; it is sold under the brand name Provera and works in the same way as progesterone. The mechanism used by this drug in fighting cancer is not clear though it is thought to cause disruption of estrogen or kill the cancer cells directly. This drug is normally prescribed in cases where one has developed resistance to Tamoxifen. It may lead to mood swings, a higher appetite and may also cause abnormal vaginal bleeding. Tamoxifen may be associated with many side effects, during and after treatment but we cannot overlook the fact that 50% of the women who have gone through this treatment do not get a cancer recurrence. Due to this, I would still encourage any cancer survivor who wants to have a chance to live cancer free to embrace Tamoxifen. 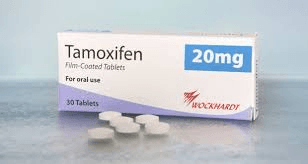 These other drugs that can be prescribed in place of Tamoxifen also have side effects while some cannot be given to women in the pre-menopausal stage. What you need to watch out for is buying original drugs from reliable sources. To assist you in making this choice, we have compiled a list of Top Online Pharmacies where you can be sure you will get original Tamoxifen at a good price.